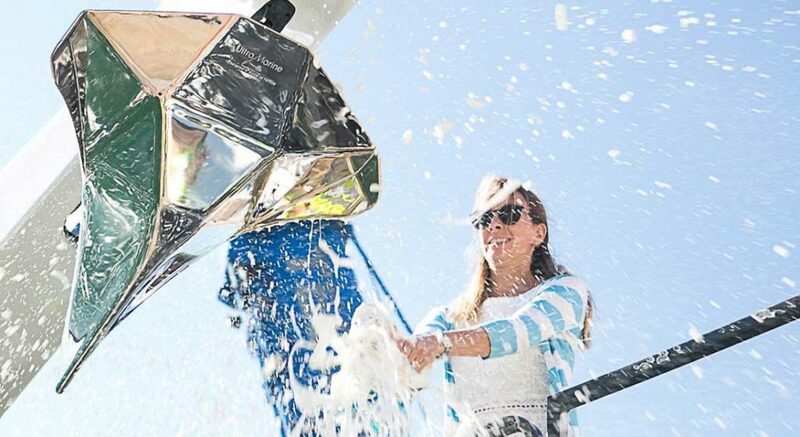 Southern Wind Shipyard celebrated its first christening of the year. Power of 2, the third hull in the SW105 series, is now in the water. Like many yacht owners, the owner of Power of 2 wanted something bigger than his previous yacht. An avid sailor, he specifically wanted to enjoy swifter sailing and to visit farther-flung, more remote regions. The SW105, measuring 105’9” (32.27 meters), is a high-performance cruiser attracting leisure-seekers and regatta racers alike. For Power of 2’s owner, the twin rudders and lifting keel make the sailing superyacht adaptable for a variety of shallower anchorages. (Draft ranges from 9’8” to 16’4”, or 3 to 5 meters.) The yacht should also see good upwind performance in light air with the keel down. These features are all thanks to Farr Yacht Design and Southern Wind Shipyard, which further integrated an anchor arm in the bowsprit. 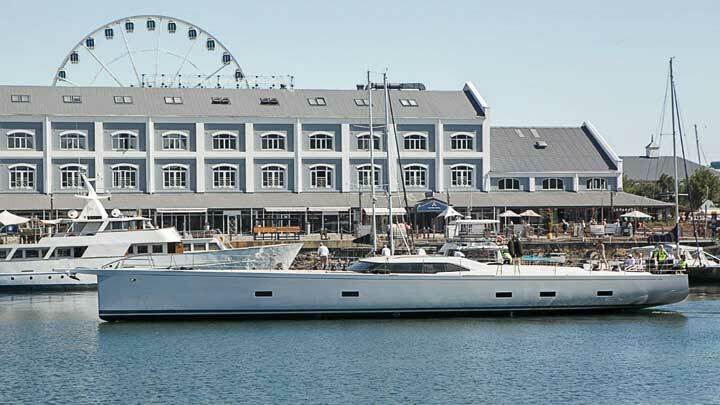 The launch comes a few months after hull number two in the series, Kiboko Tres, departed the builder’s location in Cape Town, South Africa. However, unlike her, Power of 2 has a deck saloon arrangement. Nauta Yachts, responsible for styling and interior design, created a few areas where the owner can entertain family and friends. Outside, for instance, the guest cockpit is ideal, additionally protected by the coachroof coamings. Inside, meanwhile, the saloon has abundant seating for 10, plus is open to the dining area. After-dinner drinks are perfect for enjoying in the saloon, too, due to a custom bar forward. That bar separates the relaxation areas from the owner’s suite. Not surprising, this master-forward configuration is the most popular layout option among all its clients, according to the shipyard. This, in turn, means Power of 2 provides three guest staterooms amidships, and crew’s quarters, along with the galley, aft. Since delivery should take place next month, Power of 2 is setting off on sea trials soon. Anticipate her owner wasting no time putting his cruising plans into practice, either.